We live in a best of breed world. Companies are diversifying needs across business units and abandoning the one software fits all approach. They are using SaaS applications to build their own unique best in class suite of technologies. Of course, this is only possible because these applications can be integrated economically and efficiently. At Celigo, we take a best of breed approach in every aspect of our business, striving to find the best SaaS applications and using our integrator.io platform to efficiently integrate all of them. When Celigo set out to choose a new customer support platform, we were looking for a cloud-based application that allowed us to improve the entire customer experience. We wanted the ability to customize the support experience for all of our customers, to scale as we grow and innovate, and continue to evolve as customers and support channels change. Zendesk allows us to do just that. While there were many choices of cloud-based applications claiming to be best of breed for Customer Support, implementing Zendesk and our Zendesk – NetSuite Connector proved to be the best solution to meet and exceed our goals for Customer Support. With Zendesk, we were able to create a completely custom and branded help center that gives customers access to product documentation, knowledge articles, a customer community, and ticket submission process. They can find answers independently and communicate with other customers using the same products, which is huge! Read any article about the state and future of customer support and you will find mention of customers being able to serve themselves and have support available at their fingertips. Even better, Zendesk allows us to take these efficiencies one step further. For the support team, Zendesk provides a streamlined interface out of the box. We were able to enhance it further with the addition of automation and marketplace apps specifically built for Zendesk. But the customer experience isn’t just about answering questions on support tickets. So, it was critical at Celigo that we were able to seamlessly integrate our support software with NetSuite, our ERP. Account Managers, Sales, Services, and Product Development all need to be actively involved with and understand our customers’ needs. Through the use of our integrator.io platform, we developed and implemented our Zendesk – NetSuite Connector (yes, we practice what we preach). At Celigo, we believe you can get the best of both worlds. We can choose an out of the box integration from our portfolio of Connectors and take advantage of integrator.io to easily customize it further. 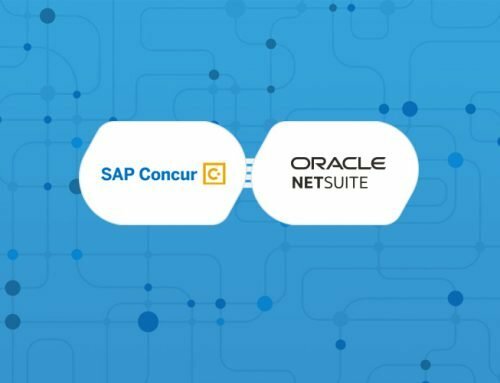 The Zendesk – NetSuite Connector allows us to sync Customers, Contacts, Tickets, Sales Orders, and Financial information in real time between Zendesk and NetSuite, allowing visibility and interaction between customers and our entire company. While the integrator.io allows you to easily add additional fields to sync on each object, the base Zendesk – NetSuite Connector already included all standard object fields from both systems. This allowed us to focus more on improving our processes and increasing efficiencies. For example, prior to the implementation of the Zendesk – NetSuite Connector, setting up new users was a manual and inefficient process. We had a special email address setup that others in the company could email to request access. This usually didn’t happen until the implementation project was complete as a handoff from the project team to support. With the help of the connector, we were able to develop a process to automatically setup new customers in Zendesk. Now, through a minor customization in NetSuite, we were able to trigger the Connector to setup all contacts for a customer in Zendesk and send them a login invitation upon signage of a sales order. Customers now have access to our help center (branded as Customer Compass) from the beginning of their project and we have more time to focus on true customer needs. We are excited about the future of our customers’ experiences with the implementation of the Zendesk – NetSuite Connector. In an ever changing world of technology where one size no longer fits all, Celigo will continue to focus on expanding how we reach our customers without sacrificing efficiencies. To see our support site in action, please visit Customer Compass. If you are looking for a best of breed cloud-based customer support app, checkout our Zendesk – NetSuite Connector to learn more.